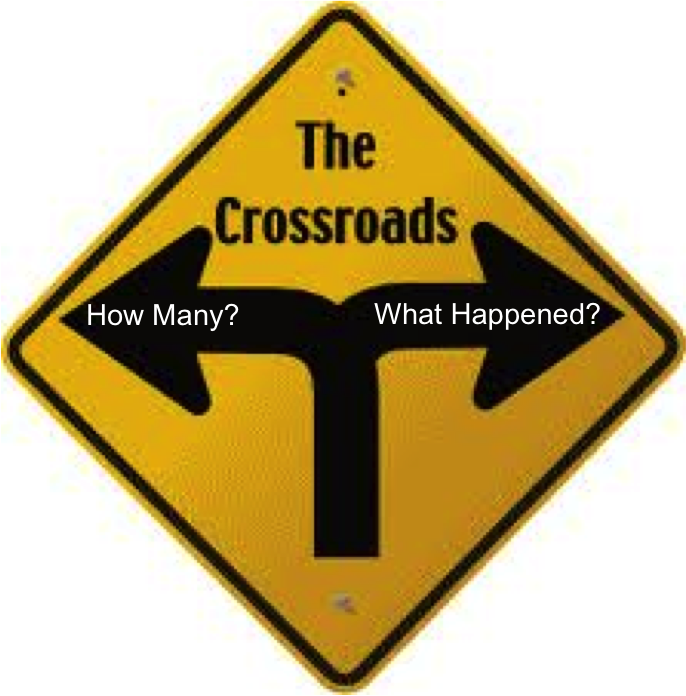 We are at a crossroads in social media measurement. Expectations for rigorous and relevant measurement have risen more quickly than delivery. Too many are fixated on quantitative outputs – speeds and feeds – at the expense of understanding the outcomes achieved by social media marketing and social business. There is still too much emphasis on vanity metrics and not enough on business results. And, if you take a step back, there is simply too much talk about all this and not enough action. At the risk of exacerbating the last point, let me explain. In the late 1990s and early 2000s, digital measurement focused on website analytics. The orientation was heavily quantitative. How many unique visitors? How many page views? How long did people remain on site? By 2007, with Facebook now three years old and Twitter completing it’s inaugural year, social media measurement was becoming a hot topic. Early social media measurement practitioners generally came from the web analytics world. Early social media measurement efforts focused on quantifying outputs and not addressing the outcome of the program. The orientation was on ‘How Many?’ and not ‘What Happened?’ The quantitative orientation also came at the expense of qualitative assessment. The emphasis was on getting easily accessible statistics and not on content analysis to understand meaning and implications. These issues remain today, although we have made significant progress toward shifting the orientation to outcomes and business results. In the early adopter phase of social media, social media measurement was under little pressure to go beyond quantitative output analysis. Many brands, companies and organizations viewed social media participation as a bit of an experiment to see how it best could be used within their organizations. But this was soon to change. It is difficult to pinpoint when social media crossed the chasm into a mainstream business activity. An IDC study in the Fall of 2009 suggested the state of social media still best fit the early adopter and not mainstream use pattern at that point in time. 2011 felt like the year the leap happened to me. With it came a new and emerging set of expectations around social media measurement. In measurement, it is a truism that the metrics that are easiest to measure are seldom the ones that are most meaningful. It may be easy to measure outputs, but it is often much more difficult and expensive to measure outcomes. It is much easier to determine brand mentions in social media than it is to assess whether or not social programming has changed opinions and attitudes of the target. It is infinitely easier to measure unique visitors per month than it is to determine the return on investment of a social media initiative. Now that social media clearly is a mainstream business activity, the pressure to demonstrate the impact and value of social media has greatly increased. As the resources and investment against social media and social business become meaningful line items in the budget, the game changes. Demonstrating business impact and value requires an understanding of the business model of the company or organization and how social media/business creates impact (e.g. change in awareness, increase in purchase consideration, increase in active advocates around an issue) in that environment. Measuring impact is more difficult than measuring audience or engagement. It often involves primary audience research so the price tag is higher. This is a key struggle we face – will we continue to take the easy, less expensive, minimal-value-of-the-findings approach or we will take social media measurement to another level, focusing on outcomes, investing in audience research and applying rigorous analytics to get at meaning and insight? The imperative is clear, how we respond will be telling. One of the key themes at this year’s AMEC measurement conference in Madrid was creating a bias toward action. The time to (just) talk about measurement is in the past, the time for action is now. I might suggest this goes double for social media measurement. Here are three areas we can address that will help make the leap from talk to action. Take a stand on standards. An exciting cross-industry effort has produced a set of proposed standards for social media metrics. Adopting standard definitions and metrics for social media is an important stage of measurement maturity that other marketing disciplines like advertising and direct marketing have already reached. Understand, articulate & demonstrate business impact. The heat is on to demonstrate how social media is helping drive the business or organization forward. We must do a better job of connecting the dots between business KPIs, social media objectives and social media metrics and measurement. In some cases, we want to go beyond understanding attitudinal and behavioral changes to understand the financial value of the impact created. Capturing the financial value of social media requires expertise, data, time and money. We would always like to measure impact, and when it makes sense, we may push further to attribute financial value. It will be interesting to see what the next year in social media measurement brings. The move toward standardization alone should be fascinating to watch. I have tried to make the argument we are at a crossroads or inflection point in social media measurement maturity. What ‘worked’ for us in the past will not work in the future. We know the expectations. The great unknown is how we respond. Note: This post was inspired by a Carma webinar,co-sponsored by PRNews, I gave recently. You may download slides from that webinar here. Is 2009 the tipping point for social media accountability? Social media use and measurement to date has mostly resided in the experimentation stage. In the last couple of years there has been a rush to experiment and become involved with the exciting new world of digital and social media. Press conferences in Second Life. Posting corporate podcasts on YouTube. Not relying on others to publish your company content – just publish it yourself. 2009 will raise the bar on all of use to demonstrate how social media programs are helping to drive desired business outcomes. It won’t be enough to just report on the number of view-thrus for a clip or unique commenters on a blog. We will be challenged to explain how our programs will drive consumer/customer awareness, engagement and purchase intent. How are we contributing to the brand and how does the contribution impact the business. The questions will outnumber our answers, but we all better be ready to come up with better answers than we have in the past. 2009 will be the year when the pendulum swings from experimentation to accountability. Buckle your seat belts.